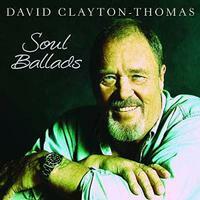 David Clayton-Thomas is probably best known for his work as the lead singer of Blood, Sweat and Tears. Well, this new solo album allows him to pay tribute to a lot of his old favorite songs. These covers all work reasonably well. Some hold up better than others, though. Jazz and soul combine here. This is not bad, but a little bland. The horn section adds a lot, though. This bluesy cut is slower and mellower. That said, it’s also far more effective. It just works really well. Although this feels a bit slow, the mix of blues, soul and gospel works really well. I really like this version of the classic song. It’s one of my favorites here. I’ve always loved this song. This rendition really does it justice. There are no real surprises, but this rendition is convincing and strong. Here’s a great version of a great song. This feels really jazzy in a rather stripped back arrangement. This might be my favorite tune here. This gets a jazzy treatment. Personally, I’d prefer it to be a bit more bluesy. That said, this is still strong. This is rather predictable, but also effective. I do like the harmonica on this song. Although this string laced crooner style arrangement isn’t my thing, this works pretty well. I like the horn solo. This doesn’t do all that much for me. It’s not bad, but just doesn’t really grab me. It’s basically a traditional soul treatment. Another crooner styled arrangement, this isn’t something that really works for me. Now, this is more like it. From the harmonica on the opening section to the killer bluesy arrangement, this is just so classy. It might be my favorite tune here. This arrangement is the kind of thing you’d expect. The performance is so strong, and the song is too, though, that it’s one of the highlights of the set. That makes it a great choice for closing shot.